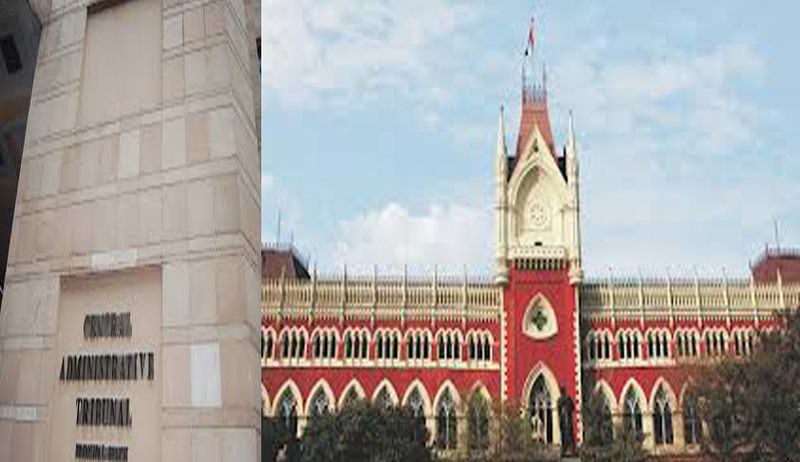 Former Acting Chief Justice of Calcutta High Court Justice Pratap Kumar Ray has alleged that his phone was being tapped. Justice Ray who is presently 'Member Judicial' of Central Administrative Tribunal's Calcutta Bench has been in news recently as he is hearing IPS Officer Nazrul Islam's petition on promotion to DG. Justice Ray has alleged in his compliant to the Union home secretary on Tuesday that he believes his cellphone was being tapped. "This is my official mobile and I use it to communicate with various dignitaries, including the CAT chairman in Delhi, to discuss official matters. As the state government has recently filed a case against me, I am more worried about the tapping of my phone, though I am not sure who is doing it," he told TOI. "I think there is a surveillance device being used to record my conversations because I hear a noise while speaking. I have not named anyone. I have lodged a complaint with the Union home secretary, as he is the competent authority to investigate phone tapping to find out if my mobile is under vigil," Justice Ray added. His complaint asks the Union home secretary "to take necessary action, as tapping of mobile is not only an offence but also a breach of Right to Privacy enshrined under Article 21 of Indian constitution. On February 3, Justice Ray had issued directives against the state government and quashed promotions of five top police officers, including the DGP. State government filed a petition in high court against his CAT order, calling it "biased" on Monday and high court has quashed the CAT order.